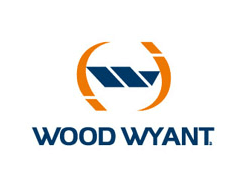 Rely on Wood Wyant for all your hygiene and sanitation needs. As a manufacturer and distributor of a complete range of commercial cleaning products, accessories and equipment, they can provide you with the right solutions for ensuring optimal sanitation. They manufacture and distribute specialized cleaning products for healthcare facilities, schools, government buildings and restaurants. They also manage many corporate accounts, and are a trusted supplier for countless commercial cleaning service contractors. Their complete range of cleaning products includes floor sealers and finishes, floor strippers, carpet cleaning products, disinfectants and cleaners, degreasers, windows and specialty surface cleaners, dish and laundry detergents, washroom cleaners, etc. We also offer an impressive range of hand hygiene products and accessories. With 15 locations across Canada your orders can be delivered to your door—any time, any place. Thanks to their regional presence, they can offer local support: advice for optimizing your processes, training for your staff and maintenance programs for your equipment.